“As soon as you start with all the blah blah blah you ruin a painting”. – Joan Mitchell, from the film ‘Joan Mitchell: Portrait of an Abstract Painter”. Her abstraction reigns supreme in my imagination and myth of painting. Her painting methods were used as explorations as well as a form of burying. 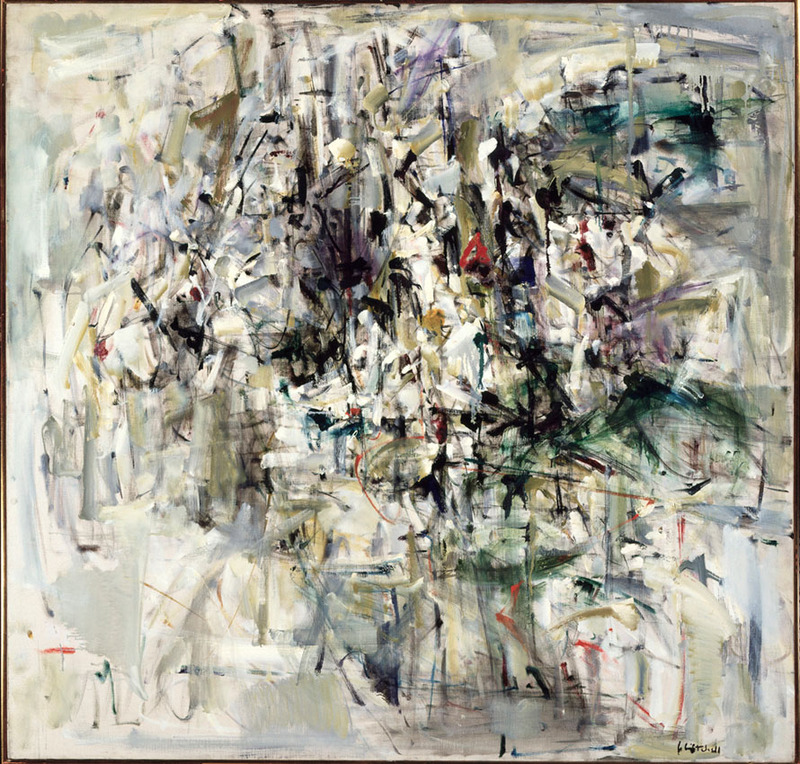 Respecting her allergic reaction to any serious dissection of her paintings, I will make this post short to simply say how very grateful I am for Joan Mitchell – her work is marvelous, and that’s all I’ll say. – When I came back (from Paris) and heard you play with Charles Mingus, and when you and Cecil Taylor opened up the ‘Five Spot’ in the fall of 1956, I felt better about being in New York. All the musicians who create from the gut as well as their intellect can change things. People will never understand what we are doing if they can’t feel. All art is abstract. All music is abstract. But it’s all real… …we were all trying to bring that spirit, that spontaneous energy, into our work. – Joan Mitchell, ‘Introduction’, David Anram, in ”The Stamp of Impulse, Abstract expressionist prints”, David Acton, p. 21.